When a film series has achieved international recognition and enjoyed enormous commercial success, it becomes very easy to believe that its eventual standard was replicated throughout its history. The appeal of Star Wars, Indiana Jones and James Bond is so widely spread throughout our culture that the individual films begin to blend into a single entity; the notion of Star Wars as a very good thing makes us forget the shortcomings of the individual films. As with each of these examples, it simply isn't the case that the Harry Potter series has always been of the highest quality. For all the praise that it has garnered, especially for its impact on the British film industry, the series had a very shaky start. 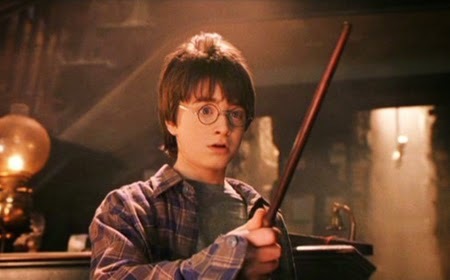 Watching The Philosopher's Stone now, there are times when it is hard to believe that we ever got as far as the seventh book being split into two lucrative parts. While it comes with the very best intentions, it is decidedly ill-disciplined and unengaging compared to later instalments. The roots of this problem lie in the choice of director. J. K. Rowling's original choice had been Terry Gilliam, who was then coming off the back of Fear and Loathing in Las Vegas. 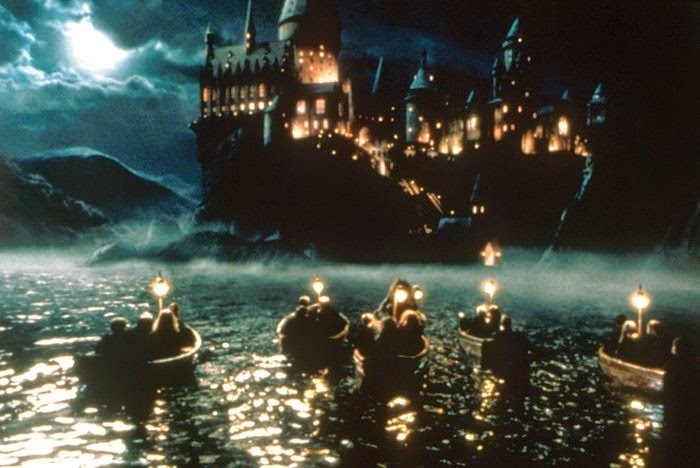 Gilliam's vision for the film was ambitious and every bit as fantastical as his work on Brazil, but the studio opted for Chris Columbus following the director's two-hour pitch to executives. Columbus' track record with family-friendly hits like Home Alone and Mrs. Doubtfire went down much easier than Gilliam's history of quarelling with studios and his multiple (but undeserved) box office failures. In my review of Percy Jackson & the Lightning Thief, I spoke about Columbus' conservative approach to the source material and how this hurt the finished product. 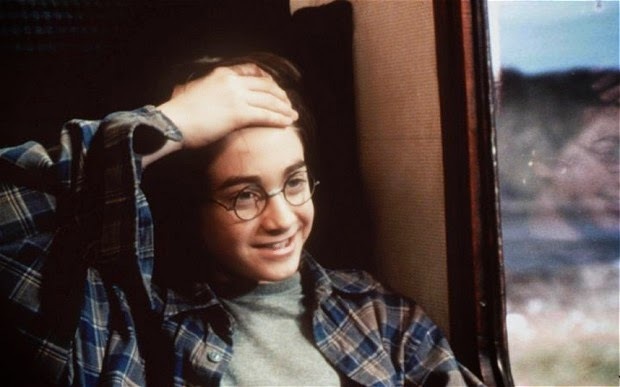 In both cases, he opted to stay extremely faithful to the original novels, personally going through the script with Rowling to ensure that all the minor details were intact. While attention to detail is always welcome, with Columbus it manifests itself in literally putting the page on screen, in a manner which makes the whole experience much less cinematic than it could have been. Because the talky scenes feel so much like readings from the novel, the film doesn't flow especially well. 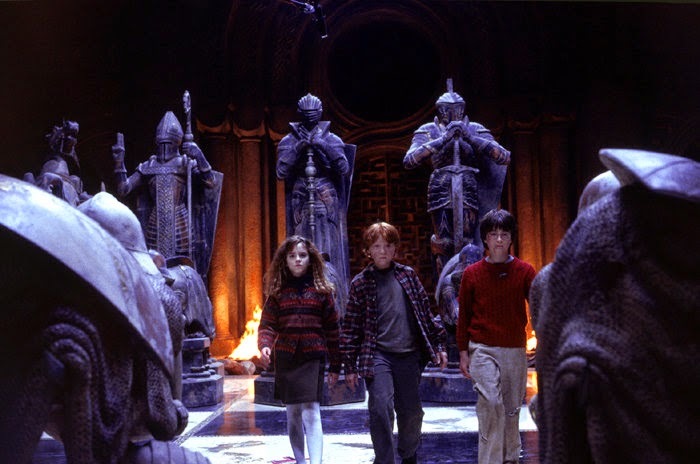 All the more action-based scenes, like the quidditch match, the broomstick lessons or the wizards chess scene near the end, feel like set-pieces which have wandered into what otherwise resembles a recital rather than a film. And because the dialogue is often flat, these scenes don't carry the weight they they need to carry; rather than building up to, say, the chess game, it comes out of nowhere and feels like a distraction. One could argue that this film has to be slower than those that followed it, because it has to introduce and explain so many different aspects of the world of wizards. But at the time of its release, there was never a guarantee that the series would run its course: not all the books had been written, and the studio took a big chance on the three young actors - probably the biggest chance they took on the whole production. The Fellowship of the Ring may be the gentlest instalment in Jackson's trilogy, and it does have to set up a lot of things, but it's still a rivetting thrill ride whose dynamism pulls all its interesting ideas and themes to the fore. 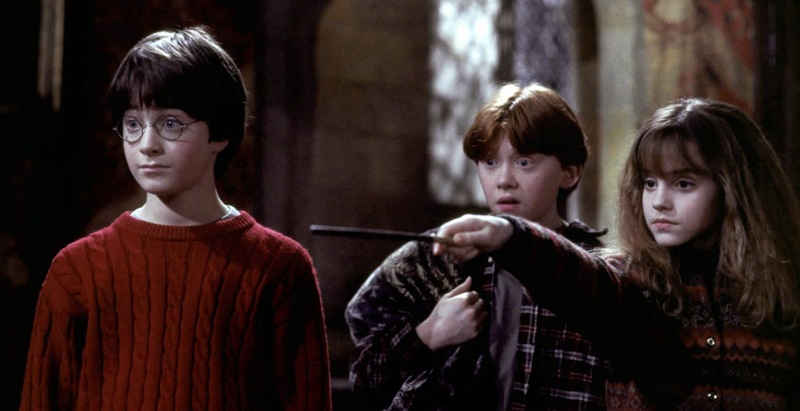 In the midst of all this disappointing mediocrity, there are a couple of aspects to The Philosopher's Stone which are enjoyable, either on their own terms or within the context of the overall story. 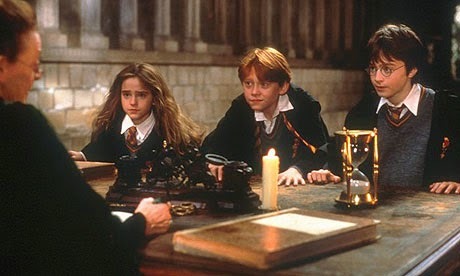 The series' biggest asset from the beginning has been its cast, with each of the three main child actors finding their feet reasonably quickly. 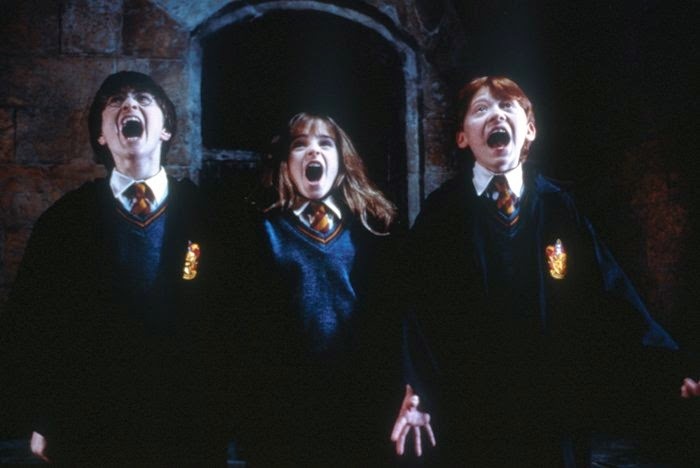 There are some obstacles in their way, with Hermione being far more irritating here than she is in the later films, but the actors feel settled in their parts and are at home in front of the camera. The film is also pretty funny, perhaps because we have such a strong bond with the cast in the first place. The running gags about Hagrid breaking things and telling people things he shouldn't have done are funny throughout, as are all the bad things that befall Neville Longbottom over the course of the story. The humour is played very broadly, with much of it being set up a little too obviously, but for the most part it still feels genuine in its delivery. 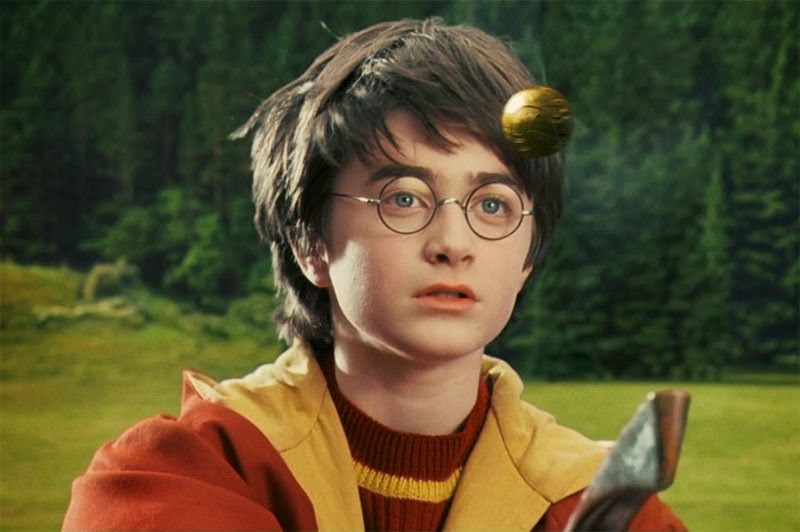 Harry Potter and the Philosopher's Stone is a mediocre first offering in a then-fledgling franchise. Despite having a strong cast and quite a lot of entertaining humour, it's ultimately far too cautious and literal an adaptation to pass muster as a properly cinematic outing. Its flaws become all the more painfully obvious as the series grows and develops, making all its decisions to play safe seem utterly ridiculous in hindsight. While not the worst instalment in the series, it's hardly the start that we wanted or deserved. Click here to read my WhatCulture! article on the best Charles Dickens adaptations, featuring both versions of Oliver Twist cited in this review.